1. 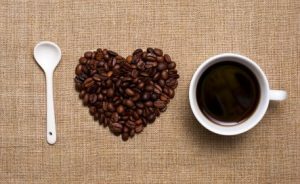 You’d think I would have a million and one things to ramble on about in this Over Coffee post, but the truth is, I don’t. I feel like I am SO boring lately, which may be a large part of the reason I haven’t been blogging much. 2. Since April was kind of a blog-less month for me (minus a few posts here and there), nor a month of exploration, indulgence, or excitement, I decided not to write an April Favourites post. I’ve not been feeling very well lately, so my most “favourite activity” has been sleeping. Fun, huh? 3. April wasn’t all a bore. 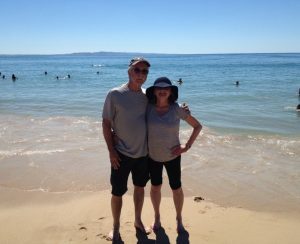 We were lucky to have my parents visit us for a few weeks. It was so great to see them, not to mention have some extra hands on deck to help out with Thomas, who is a very busy boy these days. I can’t believe they have actually come and gone. I really cherish the time with my family, and miss them already. I dropped them off at the airport quite early last Thursday morning, so by the time I was home to get Thomas up, he had missed their departure. Every day over their visit, my parents would sit on our patio waiting for Bubs and I to wake up for the day. So on Thursday when I brought him out to the living room, he ran over to the glass window to look for my parents and was confused when he realized they were not there. It truly broke my heart! 4. That being said, I am counting down the days until we go home for a visit this summer! Our flights are finally booked, and I’ll be heading to Calgary for the first time in two years before making my way to the Maritimes for a month of family, friends, and wedding festivities! 5. 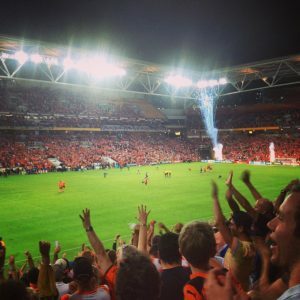 Adam and I took my Dad to a Brisbane Roar game two weeks ago. They were playing Melbourne in the A-League Semi-Finals (Australia’s premier soccer league), and won 1-0 to advance to the finals! As a soccer fan/player, I’ve been meaning to get to a game since we moved here, so was glad we could finally attend. 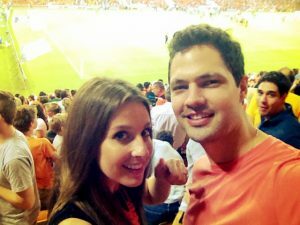 Brisbane ended up beating Sydney Wanderers in Sunday night’s final to capture the title…wooo! 6. We also visited Brisbane’s Lone Pine Koala Sanctuary during my parents’ time with us. I’ve been there with my brother-in-law before, but it was fun to see the little guy taking in all of the action. I was a little hesitant to put him on the ground with the kangaroos, but they were super gentle and obviously very familiar with human interaction. Thomas would pat the kangaroo’s head and laugh hysterically, over and over! It was definitely a great morning out. 7. 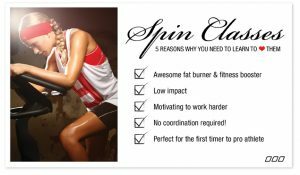 I did my first spin class in god knows how long on Friday morning, and remembered why I enjoy throwing it into my workout schedule every so often. I was “good sore” all weekend! It’s such a nice break from the cardio room, and the time truly flies by. 8. 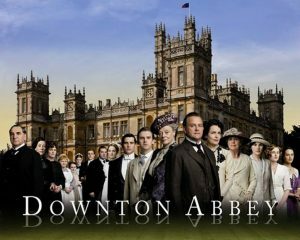 TV Show obsession: Downton Abbey. Okay, so this also might be a contributing factor to my lack of blogging lately. My only time to really write is in the evenings when the Bubs is down for the night, but many of my April nights were instead dedicated to Season 1 and 2 of Downton. I don’t know where I’ve been all these years or why I haven’t been watching it all along. Soooo good! I’ve just started Season 3, so Shhhhhhh! 9. I got a new blender! Yes! 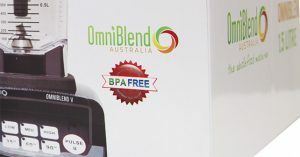 After a year of complaining about my horrible one that barely functioned, I bit the bullet and ordered an Omniblend. I had my eye on a Vitamix or Thermomix, but they are both so expensive for someone who may not be living in Australia for years to come (the voltage/power ports are completely different so I could never take it with me if we moved). Anyway, the Omniblend has been amazing so far. More on it (and its creations) later this week! I need to start using that phrase. Grandma is right. Cake makes everything better! 11. Umm…I think that’s pretty much it. Told you I haven’t been up to a whole lot! I’m truly hoping to get my blogging groove back a bit in May; I miss it. I have a few things up my sleeve, including some exciting news and an amazing contest for all you Aussie readers out there! So make sure to stay in the loop. Hope your May is off to a fabulous start, and wishing my Alberta friends some sunshine to melt away that ridiculous snow!! !